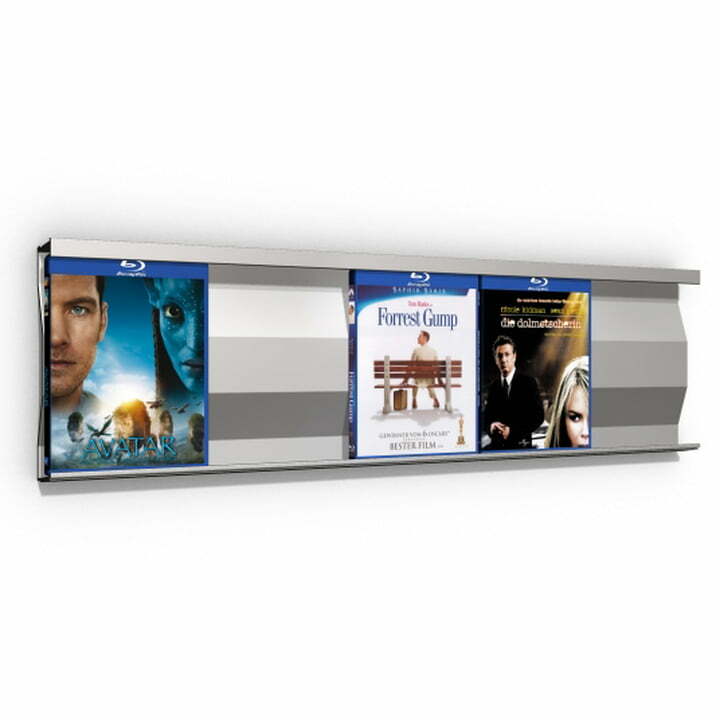 The Sigmarail Blu-ray shelving system SR5 is made of solid and completely anodized aluminium. 5 DVDs can be presented effectively in the aluminium rail of the SR5, they can be inserted and taken out comfortably and safely with one hand. The Bul-ray rails of the Sigmarail shelving system can me assembled under each other, or slightly moved. Thereby your Blu-rays will always stand safe – even by inclined roofs. That is how the artful cover of your favorite Blu-rays get the prominent position they deserve. With several rails directly under each other only the top-rail has to be fixed at the wall with screws! The system remains expandable all the time! 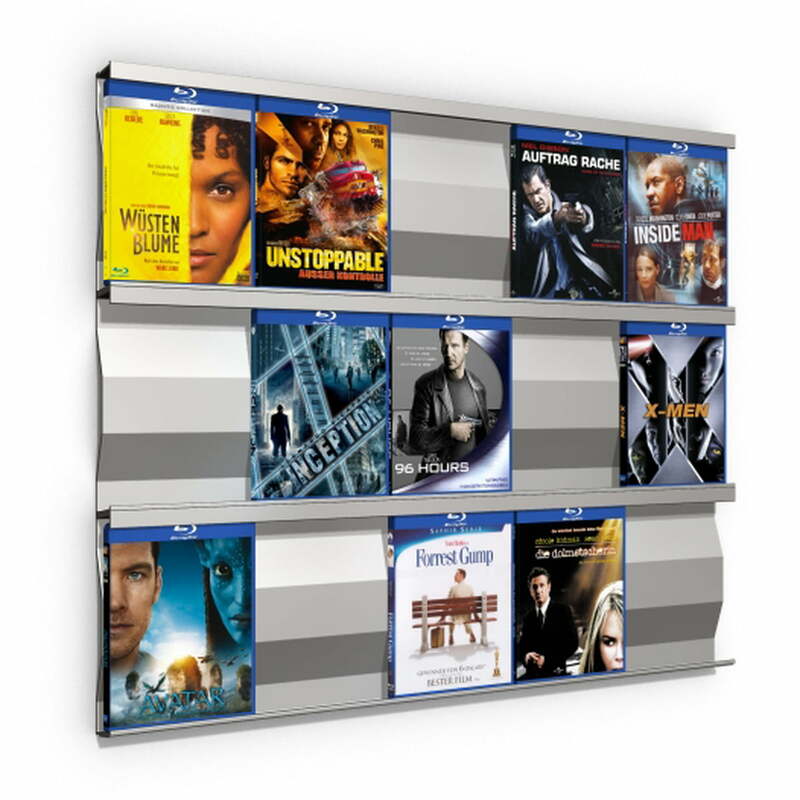 The delivery of the Sigmarail Blu-ray shelving system SR5 comes incl. the necessary wall-fixing material and a pictures instruction manual for an easy assembly.